Jacques' family hired a private investigator to look into the fire and incidents surrounding it. Several exchanges between a Wellington wife, who died in a fire in May, and those close to her, as well as the movement of certain pieces of potential evidence, are now under scrutiny. News24 understands a private investigator, looking into the deaths of Sunita van Dyk (31) and her husband Jacques, is probing several aspects surrounding the puzzling fire which claimed their lives. It emerged on Tuesday that a post-mortem had found that Sunita sustained neck injuries, but had died of smoke inhalation. The injuries, according to sources with knowledge of the case, were consistent with having been strangled. On Thursday, a representative of Jacques' family said they were mourning his death and that of Sunita. The representative urged anyone who had information about what happened to the couple to pass this on to police. Sunita and someone said to have acted obsessively about her. 2. The whereabouts of certain pieces of potential evidence. 3. Sunita's interactions with others in the weeks leading up to her death. Sunita, Jacques and their dog Skollie, were found dead in the early hours of May 10. Her flimsily-clothed body was found in the bath in the bathroom, while his was found alongside hers. It appeared that neither had tried to climb out a window in the bathroom. The fire, discovered around 03:15, apparently broke out at their home on the Oakdene farm, outside Wellington, that morning. On Tuesday, asked whether Van Dyk had been strangled, Western Cape Police spokesperson Sergeant Noloyiso Rwexana told News24: "The post-mortem confirmed neck injuries and the cause of death is smoke inhalation. An inquest is been investigated." She said the cause of the fire had not yet been established and a forensic report in the matter was still outstanding. Three weeks before he death, it had emerged Sunita was having an affair. She had been a teacher at Paarl Gymnasium Primary. Earlier this month the principal of Paarl Gymnasium Primary, Danie le Roux, had written a letter to parents about the matter. Netwerk24 reported that he wrote that in trying to mentor and help someone, he had crossed the line in terms of professionalism. 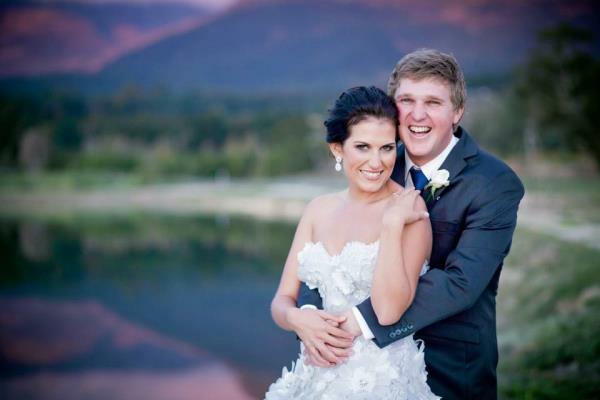 "Me and my wife allowed one of our staff members to come close to us at a personal and emotional level," Le Roux wrote.